I prepared this dish long time back,much before blogging.I found this in one of my folder and thought of sharing it.I borrowed this recipe from my Fb friend Mrs Seema D Shenoy who is a very good cook and is passionate about cooking.This dish tasted similar to chicken ghee roast.Thank you Seema for this tasty recipe.Vegetarians may also prepare this dish with paneer,babycorn or mushroom. Marinate the chicken with the ingredients mentioned in the list for half an hour. Heat oil,add marinated chicken and cook on high flame for sometime,then lower the flame by closing the lid for sometime until it is half done. Add garlic flakes (crushed),ginger and curry leaves stir well and cook on high until done. 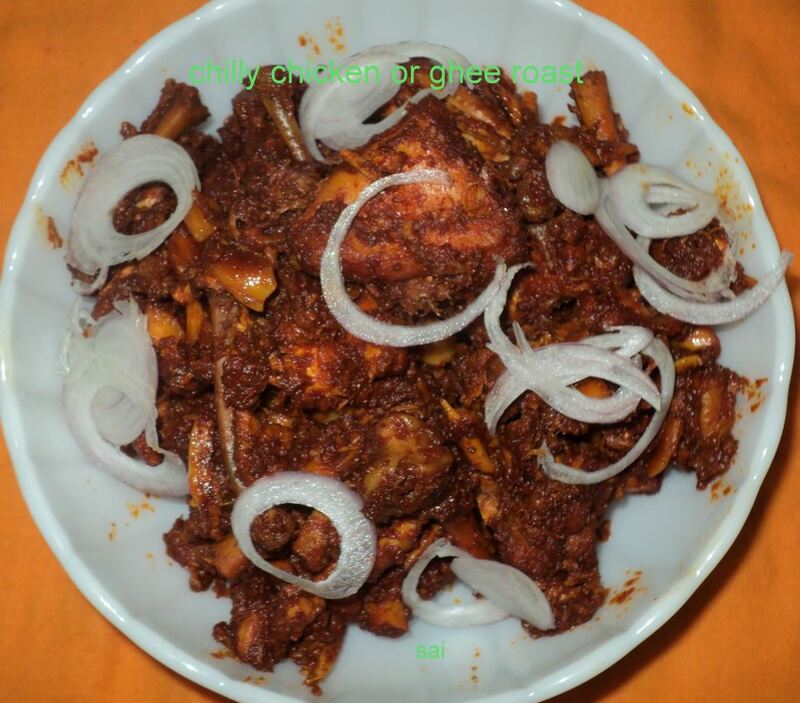 Yummy chicken spicy looks perfect for any rice or chapathi.